The design, validation, and manufacturing of modern electronics necessitate the measurement of both analog and digital signals. 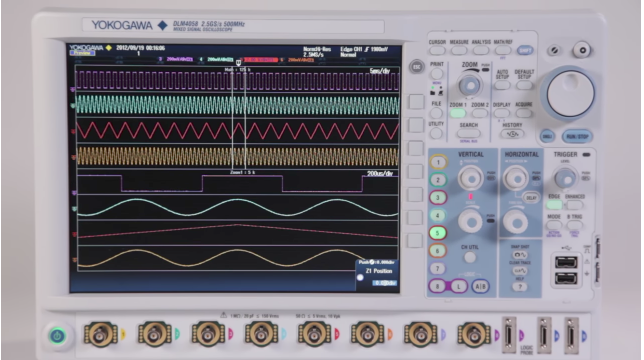 Mixed signal oscilloscopes enable the simultaneous, time correlated observations and analysis of analog with digital (logic) signals, to establish causal relationships between the various areas of a device's electronics. They are purpose built tools for troubleshooting electrical anomalies, measuring parametric values, and monitoring cause and effect relationships between signals. 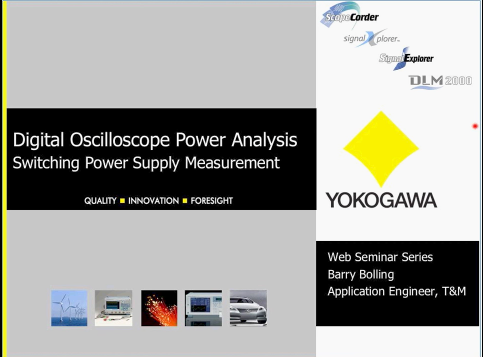 From our first digital oscilloscope in 1988 and over ten generations since, Yokogawa oscilloscopes have enabled engineers to maintain high sample rates for long observation periods with deep, segmented acquisition memory. 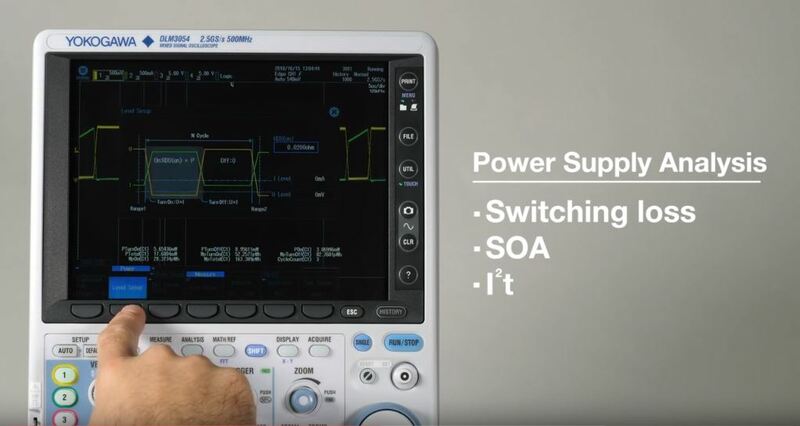 Yokogawa oscilloscopes offer extensive signal analysis capabilities, dedicated analysis and decode of serial buses such as I2C, SPI, CAN, LIN, CXPI and FlexRay, improved ergonomics, and value. We have developed the DL1640/DL1640L digital oscilloscopes that feature4-channel inputs, 200-MS/s maximum sampling rates, a 200-MHz analogbandwidth and a 32-MWord maximum record length. Compared with former modelDL1500, this general purpose oscilloscope has realized an extremely compact sizeand light weight as a result of our development of an ADC IC incorporatingpreamplifier, a VLSI for an acquisition system and our employment of a high-efficiency power supply. This paper provides an over-view of these new digitaloscilloscopes. 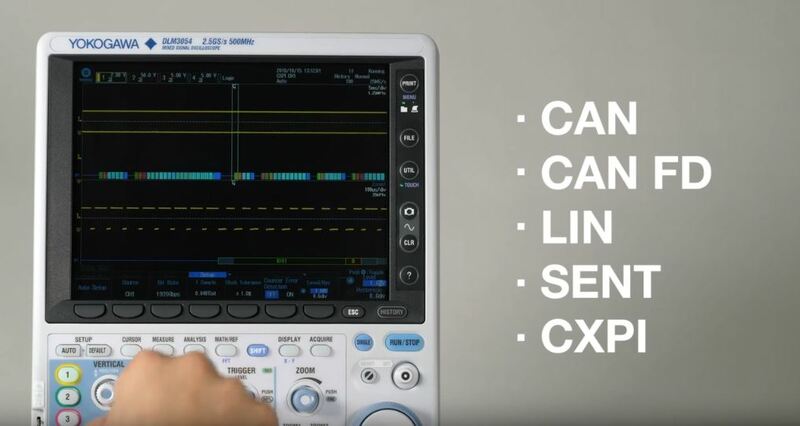 We have developed the DL9000 series of digital oscilloscopes that features 4-channel input, a maximum frequency bandwidth of 1.5 GHz, a maximum sampling rate of 10 GS/s and a maximum recording length of 6.25 MWord. This series features the high performance functions of waveform display and analysis with a compact and lightweight design. As one of the significantly improved functions, this series employs an enhanced accumulation function capable of continuously and successively displaying overlaid historical waveforms, thereby enabling data acquisition and display processing at a maximum of 450-M sample points per second. 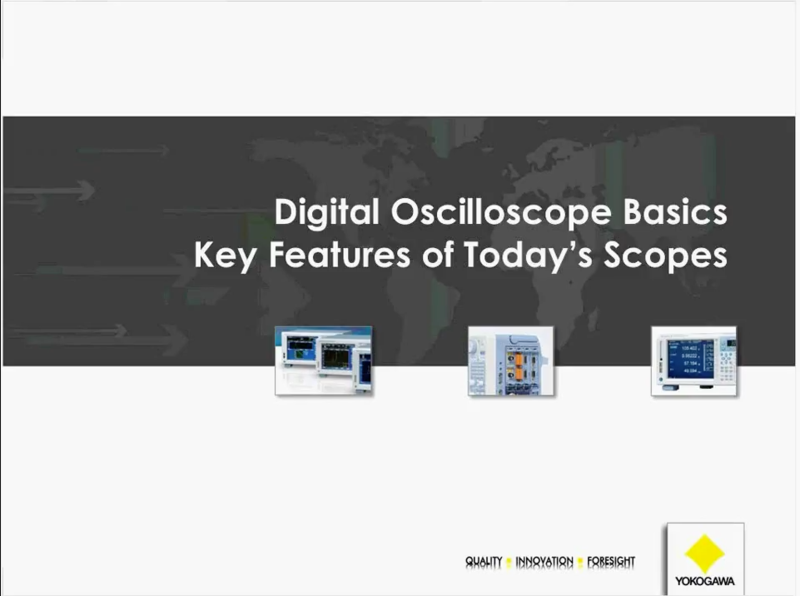 The definition of a high-performance oscilloscope really is all about the customer's point of view. Two scopes may have the same bandwidth, number of channels, sampling rate, operating modes, and memory length. Yet, one will be bought instead of the other because its software or triggering capability or measurement suite better matches the customer's application requirements. You can disable the soft menu from saving to a screenshot by setting the Mode to Normal through the Utility menu. In the menu of GO/NO-GO determination, there is no menu option for setting the for measuring range.The measuring range can be set in the Area1 sub-menu of the Automated Waveform Measurement Parameter menu..
Can we upgrade the DLM2000 memory to /M2? No – DLM2000 Memory is factory only (must be ordered at time of new purchase); there is not a mod available for this type of upgrade. 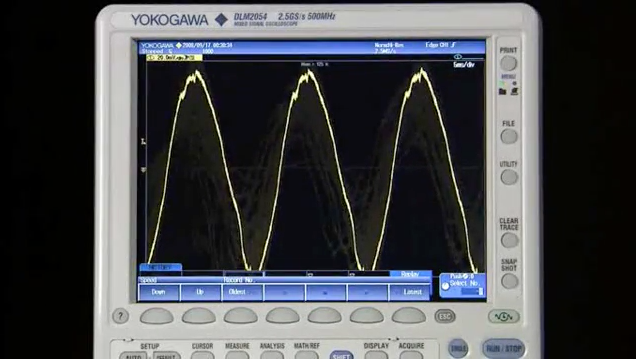 The Yokogawa .SNP file is a proprietary Yokogawa file format for saving waveform snapshots. This file has no relation to the Microsoft Snapshot Viewer program. The .SNP file can only be viewed on the oscilloscope. Yes, the HDMI pinout carries the I2C on pins 15 and 16 of the HDMI connector cable. The HDCP (content protecting encryption keys) signal is carried on pins 15 and 16. There are three kinds of standards for which a differential probe is necessary: FlexRay CAN UART (Some but not all UART) It is not necessary to use a differential probe for the LIN, I2C and SPI standards. The DL/DLM6000 series supports up to 4 Math Channels, which can be accessed by pressing one of the M1-M4 buttons. Yes, the /F3 UART, I2C, SPI and the /f4 UART,CAN,LIN trigger and analysis options can be installed on the same DL/DLM6000 unit. Yes, screen image data can be saved in BMP and other formats even if the built-in printer is not installed. The data will be in IS2 format unless the History Memory function is active, then it will be in the IS1 format. Yes, you can select color or monochrome when saving or transferring the screen image data. If the FFT does not appear, check to assure that the horizontal position of the waveform is set exactly to Zero. If the horizontal position is set to a non-zero value, the FFT will not be performed. The result of the computation between channels is displayed in units of divisions. By subtracting ch1 from ch2, you obtain 10 V. However, the result shows 2, a value obtained after dividing 10 V by the V/div value (10/5). The averaging function supported by the DL1500 Series is exponential averaging. The models that support linear averaging (simple averaging) are the DL4000 Series, DL2700, and DL708. The FFT is computed based on the ACQ data. In order to perform the FFT over 1 k points, the ACQ data are decimated (reduced) from 10 kW to 1 kW. At this point the sampling rate is equivalent to 100 kSs (1/10 of 1 MS/s). 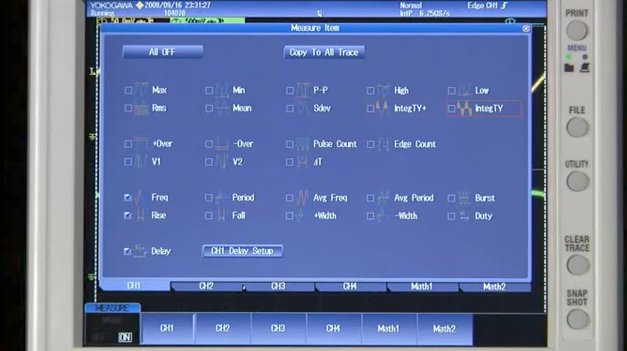 The display channel colors are fixed to: CH1-yellow, CH2-green, CH3-pink, CH4-blue. Yes, the color of the snapshot waveform is white so the displayed waveform will change colors if you move the position of the snapshot waveform. The manufacturer of our LCD has stated the luminance of the LCD drops to half after 25000 hours. Yes, there is no restriction on specifying or using the two functions simultaneously. Approximately 500 ms when performing zone determination.Approximately 700 ms when performing parameter determination. The SCSI connector type is half-pitch 50-pin (pin type). No, the DL1540C/CL uses the color TFT LCD screen. The output to the monitor is supported by the VGA output function (optional). To use the isolated input unit, the firmware version of the DL1540 must be 1.10 or higher. Please check the version number. If the version number is lower than 1.10, the firmware must be upgraded. Up to 25 characters can be entered and displayed. If you attempt to edit a preexisting comment, only the first nine characters are displayed. In this case, you must reenter characters after the ninth character. No, the USB port is not insulated from the analog input connector. 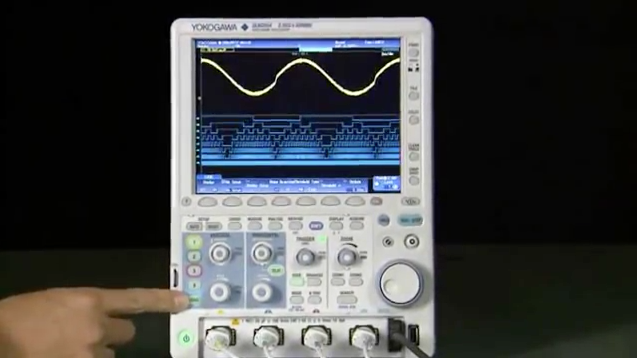 The Yokogawa DLM2000 series are 200MHz to 500MHz digital oscilloscopes for electronic design and troubleshooting. This video shows the different cursor types. 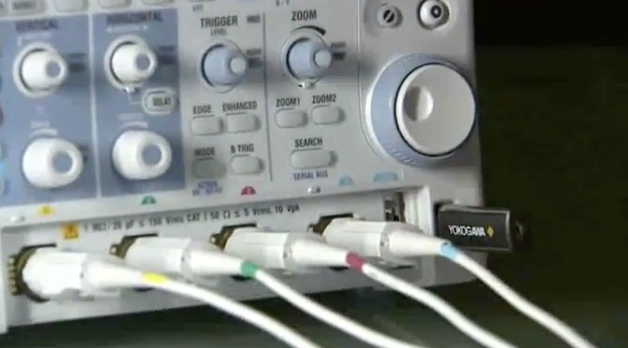 The Yokogawa DLM2000 series are 200MHz to 500MHz digital oscilloscopes for electronic design and troubleshooting. This video shows the input and math channels. 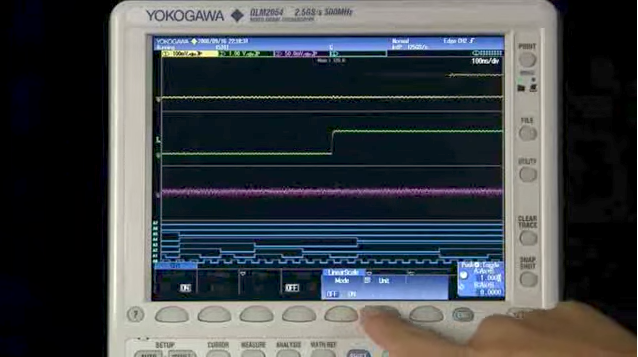 The Yokogawa DLM2000 series are 200MHz to 500MHz digital oscilloscopes for electronic design and troubleshooting. 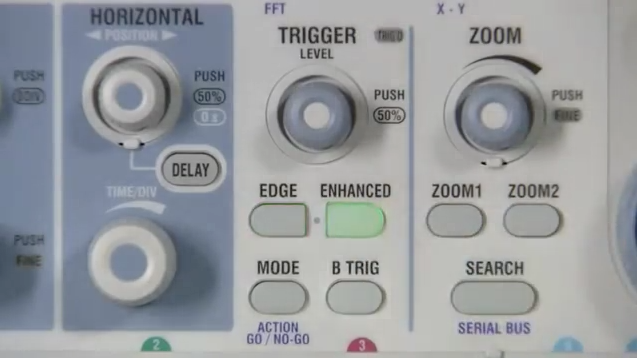 This video shows the new FlexMSO logic inputs. 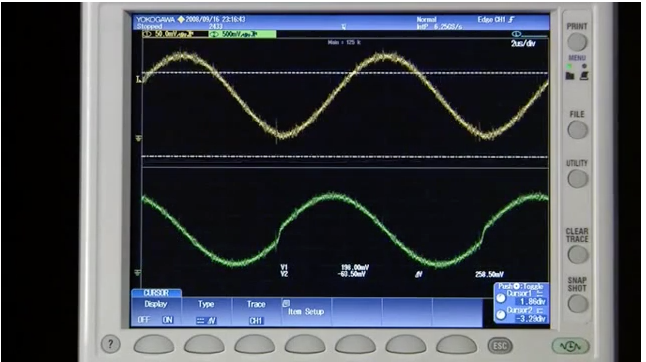 The Yokogawa DLM2000 series are 200MHz to 500MHz digital oscilloscopes for electronic design and troubleshooting. This video shows the automatic parameter measurements. The Yokogawa DLM2000 series are 200MHz to 500MHz digital oscilloscopes for electronic design and troubleshooting. 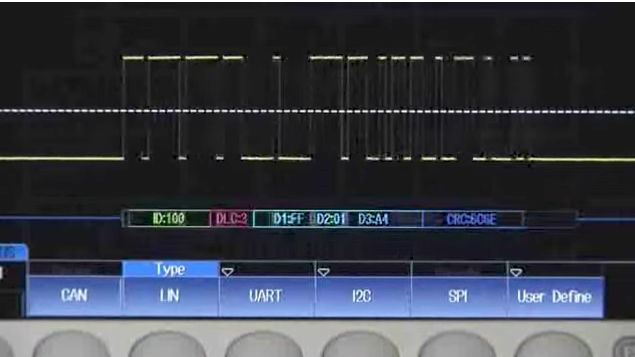 This video shows the serial bus decoding and advanced analysis. 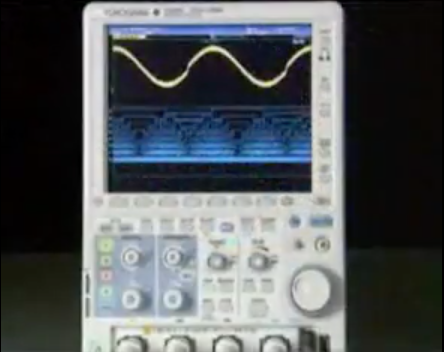 The Yokogawa DLM2000 series are 200MHz to 500MHz digital oscilloscopes for electronic design and troubleshooting. 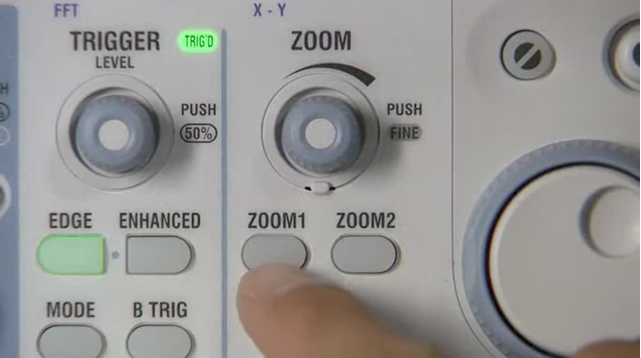 This video shows the different trigger types. 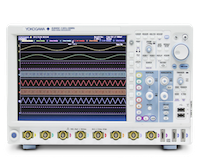 The Yokogawa DLM2000 series are 200MHz to 500MHz digital oscilloscopes for electronic design and troubleshooting. This video demonstrates the dual zoom windows. As today's power supply designs evolve, so do testing requirements. During this webinar, you will be introduced to the many specialized power measurements necessary to evaluate switched-mode power supplies. Topics covered will include switching loss, in-rush current, safe operating area, dynamic ON resistance, harmonics, power factor, and more. Test equipment requirements will be covered as well. Oscilloscopes are a tool of utmost importance for anyone wanting to look at the behavior of electrical signals in the time domain. 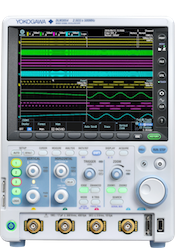 This one hour seminar will provide a broad overview of oscilloscopes, focusing on key specifications and on some of the advanced waveform analysis capabilities of modern scopes.